BABY BOMB provides a true 30 Watts of power to drive any guitar cabinet with an impedance of 8 Ohm – 16 Ohm. A perfect partner for your favorite pre-amp pedals. With just 2 simple controls the Baby Bomb is easy to setup. Connect your pedal-board to the input of baby bomb. Connect the output to your preferred guitar speaker cabinet. Categories: New Releases 2017, Super 10, Amplifiers, MOOER AMPS, MOOER, MICRO SERIES. Tags: amps, bad horse, cables, case, city, dmx, effect, effect.mooer, eleclady, fishbone, guitar, guitar effects, joyo, klon, moen, mooer, omikron, parts, pedals, stompbox, tone, trelicopter. 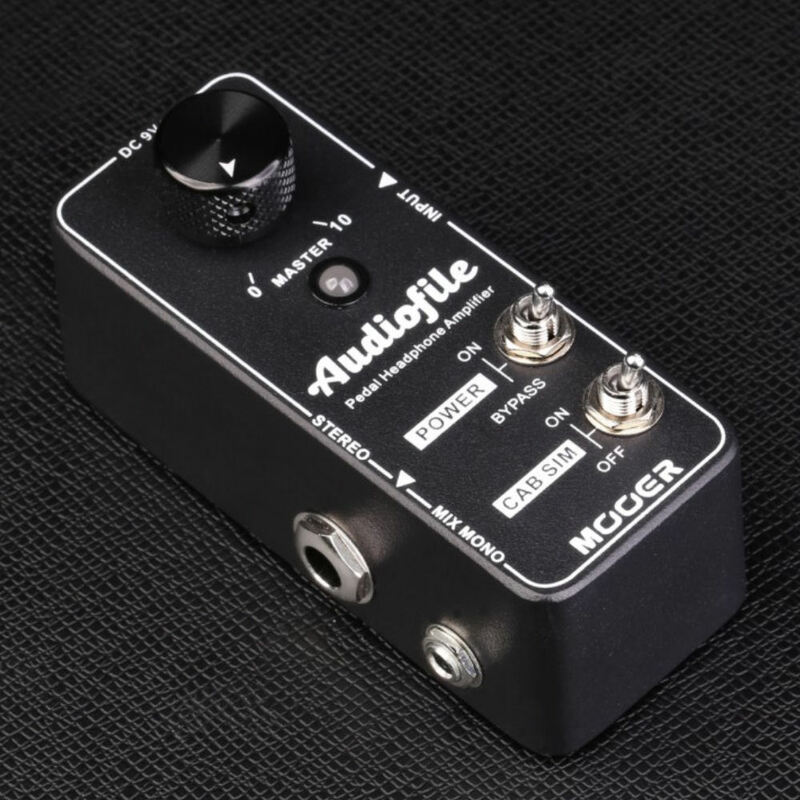 Audiofile was specifically designed as a headphone amplifier for use with pedal-boards for guitarists and bassists. The idea is that you can hook this little box up at the end of your signal chain and leave it there permanently. Using with headphones Connect your headphones to one of the outputs and engage the POWER switch to instantly transform your pedalboard into a silent practice rig. Turn on the analog CAB SIM to get a realistic and dynamic response just as if you were plugged into your amp. Great for getting all your pedals dialed in for the gig without disturbing your neighbors. Using with amplifier or live setup Audiofile can be completely bypassed or kept on to provide a super high fidelity clean boost for driving long cables and keeping your signal intact. When cranking the volume this little box also does a fantastic job of pushing the front end of a tube amp without adding extra color to the tone. 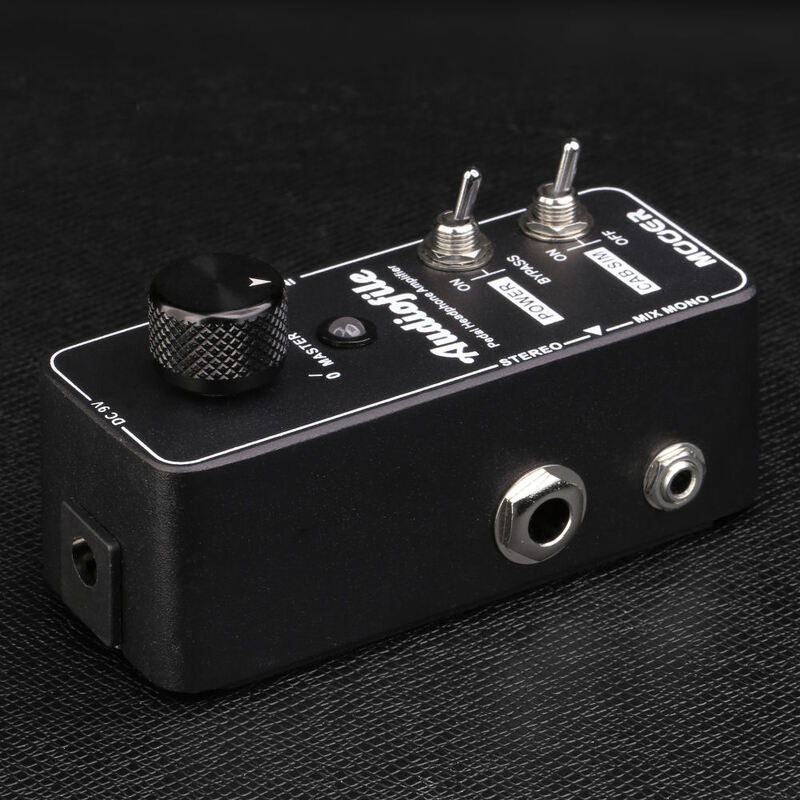 100% True bypass means AUDIOFILE can become a permanent resident on your pedal board even when not in use.